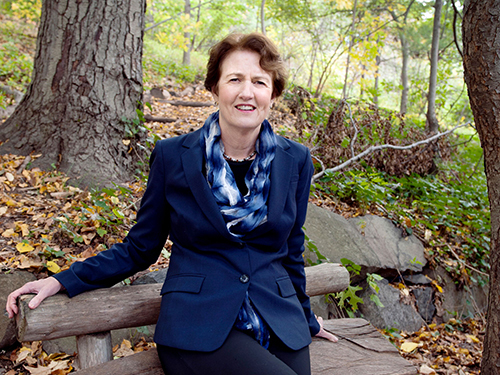 Frances Beinecke is a McCluskey Fellow at Yale School of Forestry and Environmental Studies, as well as a Senior Fellow at the Natural Resources Defense Council (NRDC). She was the past, and only female, president of NRDC from 2006 to 2015. Under Beinecke’s leadership, NRDC focused on finding solutions to some of the biggest environmental challenges of our time. These included establishing a clean energy future that curbs climate change, reviving the world’s oceans, defending endangered wildlife and wild places, protecting our health by preventing pollution, fostering sustainable communities, and ensuring safe and sufficient water. In 2010, Beinecke was appointed by President Obama to the National Commission on the BP Deepwater Horizon Oil Spill and Offshore Drilling. She has been a member of the Secretary of Energy’s Advisory Board (SEAB) under both Secretary Chu and Moniz; the Advisory Board of the MIT Energy Initiative; and sits on the boards of the NRDC Action Fund, World Resources Institute (WRI), Climate Central, and Client Earth.